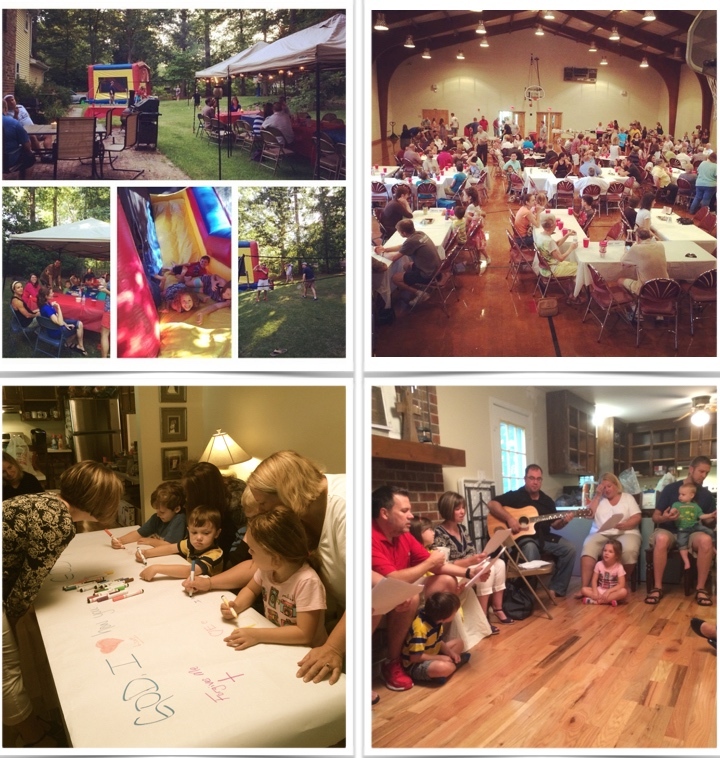 Last week someone asked me to describe our Sunday worship gatherings at Williamsburg Christian Church (we have two identical gatherings each Sunday). My answer was something like this: we are learning to believe that our larger Sunday worship gatherings are, in a sense, a rehearsal of how to live in the presence of God throughout the other six days of the week. Each Sunday we are called together, as one people, to hear God speak; after we are sent back into the world for His mission. Our communal worship both determines and reinforces our identity and mission through our liturgies of praise, ritual and symbol; this is why we believe that it is, in a sense, a rehearsal of what should happen in and through our lives Monday through Saturday. In our worship gatherings we seek to nurture a faith that leads us away from merely working for God to working with God; from merely gathering for God to gathering with God. Worship forms our imaginations with a ‘kingdom-shaped’ perspective. Our Sunday liturgy, what we do when we come together, seeks to model our way of life–the way of blessing, the culmination of the common life rooted in our true identity, and the preparation for mission. In the teaching, preaching, and public discussion of Scripture our imaginations are stirred to envision the world our trinitarian God is creating through Jesus our Lord, His intentions with it, and what it looks like to live as though Jesus is the Lord who is making all things new.4 Through the proclamation and discussion of Scripture we are reminded of our place within God’s work. Some Sundays we will preach. Some Sundays we will practice lectio devina. Some Sundays we will engage in open conversation. Some times we will do a mix of either. But each Sunday the Scriptures are engaged as God’s inspired witness of the Living Word that became flesh, King Jesus. This naturally leads us to His Table. At the Table we share in the Bread and Wine as we practice remembrance, gratefulness, celebration and experience a renewed imagination. Some call this time “Communion,” some “Lord’s Supper,” and others, “Eucharist.” Eucharist is the weekly rehearsal of the gospel narrative that prepares us for mission: the practice of receiving the welcome of Christ.5 As we partake of the bread and wine with an attitude of faith and self-examination, we remember and proclaim the death of Christ, receive spiritual nourishment for our souls, and signifies our unity with Christ’s universal Church. It is in this practice we acknowledge both our need and common belonging, which becomes our training for life in the world. The same kind of welcome extended to us by Christ becomes the same kind of welcome we extend to others.6 If we understand the Eucharist this way, our personal tables become an extension of the Lord’s table. Our lunch tables become extensions of the Lord’s table. Our cubicles become extensions of the Lord’s table–because we remember that we are to be as welcoming to the person who cleans our trash as to the person who signs our paychecks. This is at least one way to describe our Sunday worship gathering. You might even say it forms for us a theology of weekly communal worship. Of course, our Sunday gathering is not the only way we live as a church family. We embrace other shared practices. We are also a collective of missional communities that gather throughout the week in neighborhoods for the sake of deepening our love for God, one another, and those living in our neighborhoods as we seek to be present there as a blessing. But as we participate in the larger Sunday gathering, rather than sit back as spectators, our lives are transformed into the likeness of Jesus Christ and we are ready to once again participate in what He is doing in the world through His Church. How does your church family or faith community gather? What is your church’s “theology” of worship? How does it equip the people of God for the work of ministry?